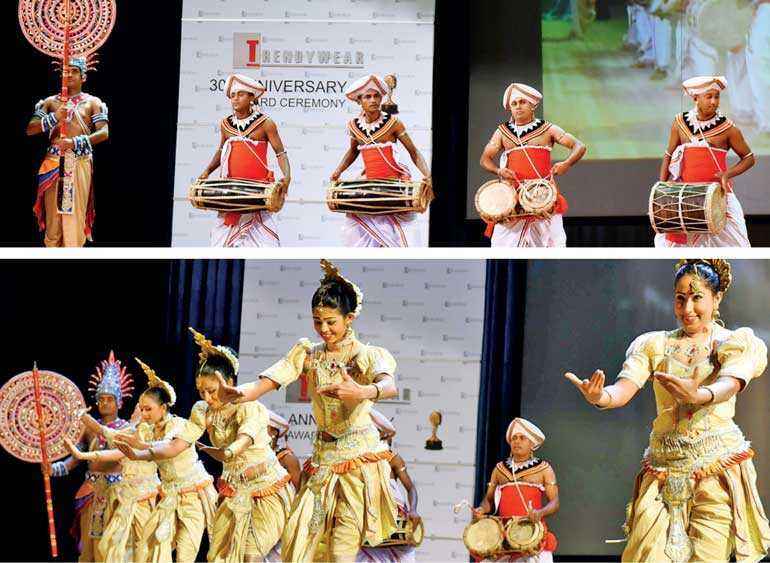 Ramya Holdings, founded by bold entrepreneur Ramya Weerakoon, celebrated its 30th anniversary on 25 May, marking the occasion by awarding employees for their tireless efforts in taking the brand forward. The company entered the apparel industry with the establishment of Ramya Apparels in 1988, compromising 35 machines and 54 workers, and was restructured in 2003 with the incorporation of Trendywear. Trendywear began with two factories and a workforce of 1,000. It currently has five state-of-the-art factories in Kadawatha, Katupotha, Adhikarigama, Delgoda and Wellawa, providing direct employment for over 5,000 employees. Weerakoon said: “I am very pleased that my dream of rewarding my employees for their great service has finally come to a reality after 30 long years. When I look back, I remember how I took a decision to start Ramya Holdings without much knowledge about the apparel industry. Dedication was my only asset. It is through dedication that I faced my challenges and went forward. The company provides a comprehensive product range including knit and woven garments, dresses, skirts, blouses, pants, jump suits, school uniforms and corporate wear. The factories of the company currently handle large production volumes of more than 8.5 million pieces of high quality garments annually. Ramya Holdings now exports products to countries such as America, Australia, Germany and other Middle East countries as well. It has come a long way since 1976 and has even launched many Corporate Social Responsibility projects, focusing on the rural community. As part of its CSR initiatives, chemotherapy equipment has been donated to hospitals and eye camps have been conducted to provide spectacles and eye operations for the needy. The company also donates school supplies to students in rural areas annually, while the children of employees receive an annual hamper of school needs. Ramya’s latest member company Aditi was also highlighted at the celebrations, with the company launching its official website. Aditi opened its first outlet in Galle and then expanded to Colombo, Kandy and Negombo. The website will allow customers from all over the country to have access to the store online. Weerakoon stressed: “Dedication is the key to success. This field is very important and the industry has a long history. There are many challenges but if you have one goal, then you will succeed. It is our responsibility to award these dedicated employees and through this I only wish to see their success and happiness.” The company awarded 1,153 employees who have worked for five to nine years, 48 employees who have worked for 10-14 years, 15 employees who have worked for 15-19 years, seven employees who have worked for 20-24 years and finally two employees who have worked for 24-30 years.